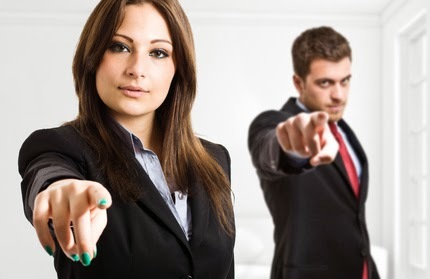 Referring people to others has many positive impacts. If I connect two people who do business together, someone finds a product or service while the other gets a new client. Boom. If I suggest a book or podcast that inspires someone. Pow. If I have knowledge that helps somebody in their own journey. Bang. It is good to be that connector. When others win in some way, I win, too (being a person who assists should make you feel good. The world is not a zero sum game). In 2015 I want to raise my efforts to make real referrals. I am still trying to figure out what this means. It has to be more than writing up cool things on my blog or sharing awesome souls with the world via the podcast. I want to make referrals where actions happen, and I am not sure that just writing here it is enough. But I am starting here under the title of "Recipe for Referrals", as with each ingredient I get closer to the final product. For now I am blogging things I want the world to know about. But I am aware this does not go far enough, as few people share out the blog posts they read (and not enough people read my blog). In 2005 when I launched this blog it was common that others would forward all sorts of information. Shares and trackbacks were very common and important in the Blogosphere. Yet the world has changed and sharing has slowed. Maybe that is because there is more information (too much information) on the internet. Or perhaps it is the hyper-focused pursuit of self-promotion. Either way, each week I want to make sure I am referring someone or something. If nobody cares, that is okay too. I want to be one who tries to connect. Today I am going to refer another podcast that I think you will find amazing. Last week I highlighted a person I met via my podcasting efforts. As a podcaster I have begun to listen and learn from those who are blazing podcasting trails. In a world with millions of podcasts I am quickly identifying the ones that are not "icky". Too many are "Guru's" with agendas.... yet many are hosted by caring souls who want to share. Thus this referral is also about a podcast you should be consuming regularly. Have you ever heard of the"Join Up Dots" podcast? If not, I suggest you go to iTunes or Stitcher and download several episodes. Spend your next few workouts listening to host David Ralph (a nice man who clearly has a givers soul) interview a cornucopia of guests from a wide variety of backgrounds. He lives in England (so he has that cool accent) and possesses a unique way to get guests to open up their hearts and share things they might not usually tell people about how they tackle life and success. Several of my friends (and myself) have been interviewed on this podcast. With over 230 episodes you might be overwhelmed as to where to start... so let me refer you to some shows with people I admire (and my own Join Up Dots interview). If you invested the time to listen to just these episodes, I think you would find yourself positively moved for knowing about these people, and for leaning about David Ralph. 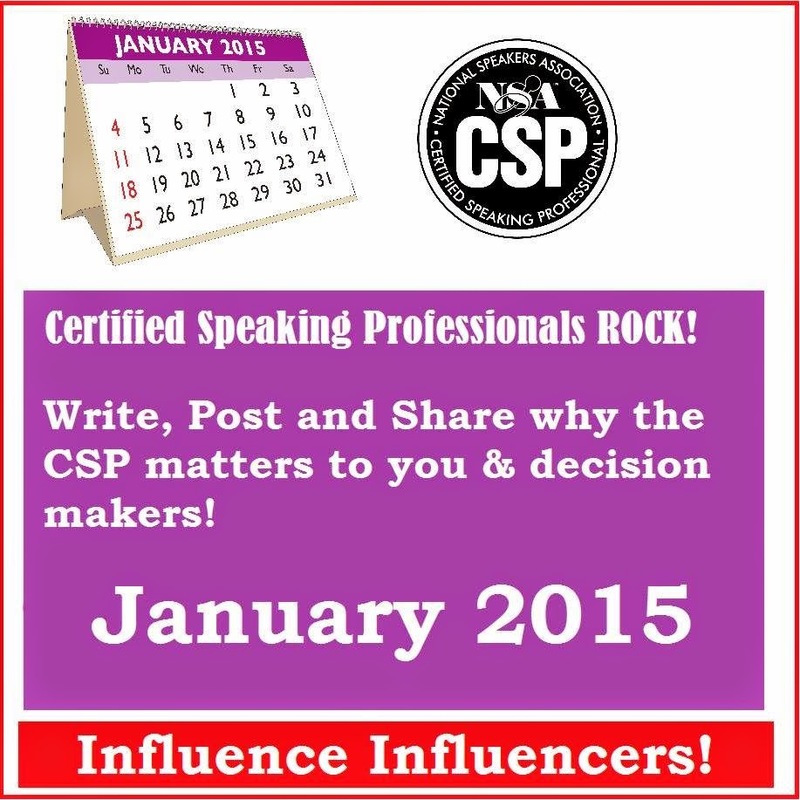 A whole day was invested in planning for 2015 with the board of the Austin Chapter of the National Speakers Association. Our local board gathered to brainstorm ideas to improve the chapter and better serve our members (and guests). I have been active on this board for five years, in addition to my role on the "board" of NSA XY (a generational "sub-group" that exists inside the NSA). I am often asked why I volunteer time to this organization, when I have so much going with my family, running a business, etc... Some people avoid their industry associations because of it being made up of "competitors".. but I don't see NSA in that light. I am active because I get so much from my membership than I ever spend in time (or the money). In addition to being on these boards, I always attend one or two conferences each year. My ROI is huge and I would never have succeeded as a speaker without this organization. Being a professional speaker is a weird profession. If you randomly selected ten speakers you would find ten unique businesses. From outside this industry looks like one thing, but those on the inside quickly learn it is very different from the perceptions. Being part of NSA has allowed me to learn by observation, and to directly share best-practices with others who choose to live in this nutty world of presenting for a living. (Of course, I always find value in people. If I was a locksmith, I would be a member of the National Locksmith Association). Several years ago I was approached by a new speaker who was seeking career advice. I told her that my involvement in NSA was key in helping me grow my career. I stated the power in having peers and friends who were working in this business. It is not just about information or buying coaching from a "guru", but instead the real clarity that comes from seeing your peers find success. She pooh-poohed the idea of joining and shared that her "mentors" told her that NSA was populated by amateurs who made no money (not true). She was convinced she did not need to join because she was already "above" the members of the association. I recently ran into this person, and she is no longer pursuing a speaking career. I asked her why not and she replied, "there is no money in it if you are not famous". I mentioned I am earning a living, and still growing my business. She rolled her eyes in disbelief. It stuck in my mind how she ignored the value of having "speaker buddies" and was now out of the industry. This conversation made me appreciate my affiliation with the NSA even more. In our Austin Chapter 2015 planning meeting the local board discussed the good, the bad, and the ugly of our group. We have had many successful programs over the past 5 years, but we still are seeking more ways in which we can provide value to the local community of professional speakers in our region. Our team walked away with some real "To Do" items for the next year (I am excited), but I also was inspired with a few ideas for my own business. I showed up to volunteer, and ended up with new ideas that can impact my own bottom line. It is nice to have a warm home of friends who help each other learn, grow and share. How did it get to be December 16th? Whaaat???? Only two weeks left in the year? No Way!!??!! I am a big believer in goal setting, but this year I did not get started right out of the blocks. I usually spend a sizable chunk of time between Christmas and New Years figuring out my plan for the following 12 months. 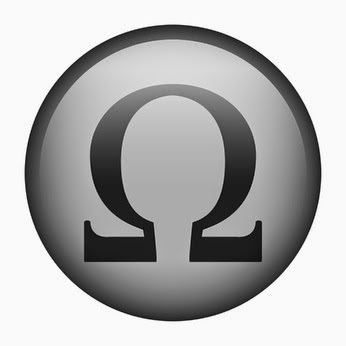 The targets and areas of focus that I identify help keep me motivated during he ups and downs of the following months. 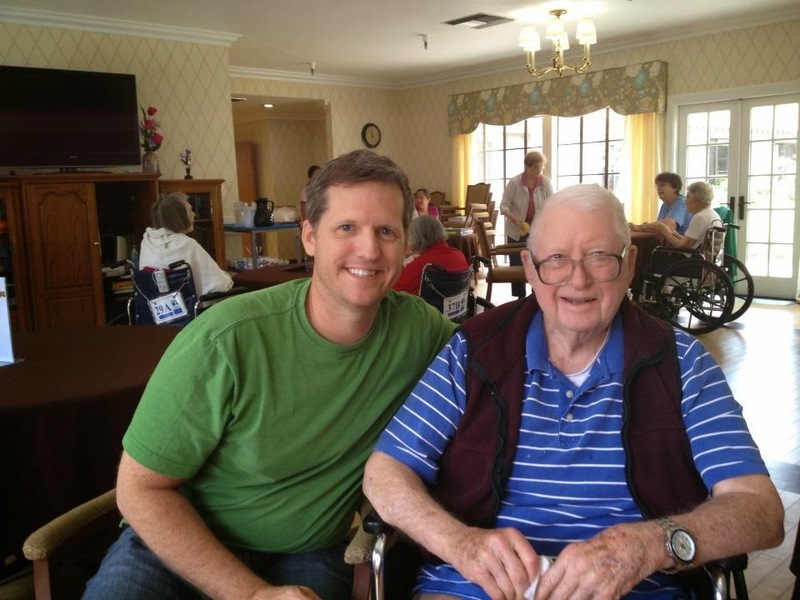 My father's passing in December 2014 left me feeling alone, empty, and distracted. The calendar showed April before I figured out my business groove for the year. Overall I had an amazing year. My sales held steady from 2014 (my best year ever), and I was able to be a little calmer as a solopreneur, in regards to finances, after five years of working for myself. Yet I am not sure how we reached December so quickly. The clients I worked in 2014 with were amazing. I had the chance to serve as a keynote speaker or Master of Ceremonies at some great conferences, and the companies who brought me in for training were both engaged and fun to work with on each project. One of my favorite parts of this year was increasing the amount of coaching I did with individuals (mostly presentation skills coaching and business development coaching). It is rewarding to see people make changes that has a positive impact on their life. 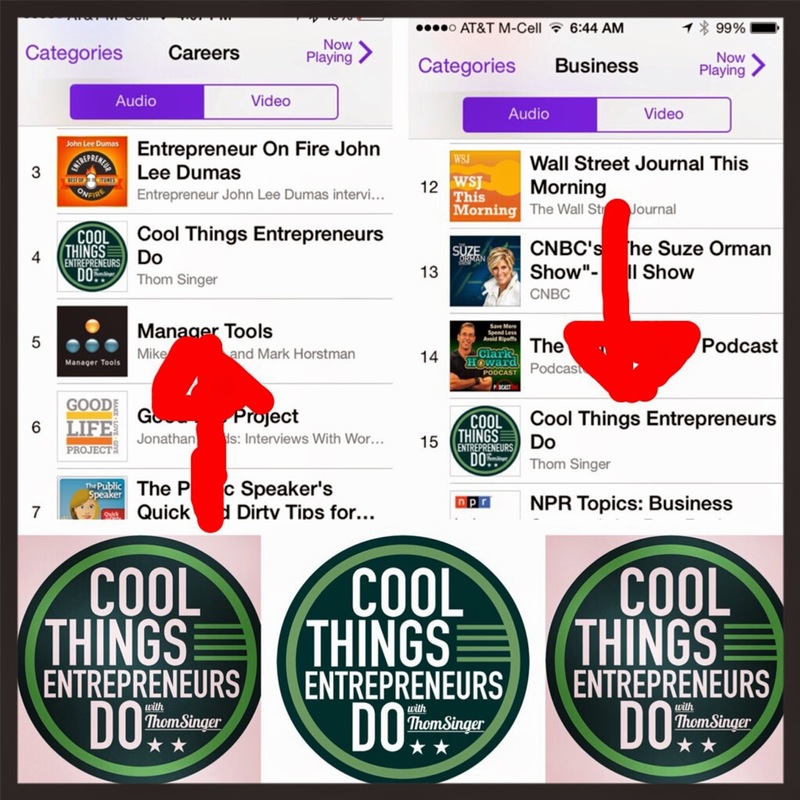 The launch of the "Cool Things Entrepreneurs Do" podcast was a major surprise. 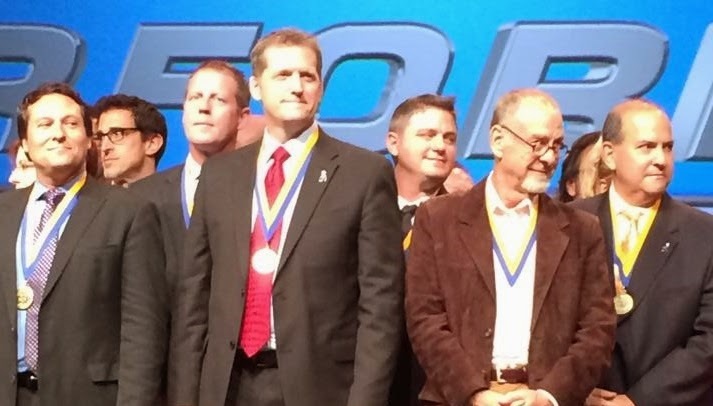 I did not plan on hosting a podcast, but while at the National Speakers Association annual conference I was pushed to interview 50 people over the following year. The concept was this effort would expose me to new ideas and people. Instead of interviews for this blog I made a knee-jerk decision to try a podcast. The amazing part is how in such a short amount of time it has become the BEST networking tool I have ever seen in my career. In just a few months I have already found new speaking business, and been exposed to other opportunities that never could have happened without the podcast. Still, I made some mistakes and failed to win some accounts that could have been win /win situations. Even when one studies relationships as part of their business, it is still easy not gel with everyone you encounter. My industry is heavily about perception, and it is difficult to change a first impression. I am learning to listen better, and to say "yes" more often to ideas that take me out of my comfort zone. This year I looked for ways to begin letting go of my own unjustified opinions of people. The more I have found that others can be wrong about me, it has become clear I am probably wrong about those I judge too quickly. A huge life lesson to realize this personal shortcoming. It came about with the repair of an old friendship from college that was lost over misunderstandings. A simple "I'm sorry for my part" lead to the beginnings of a new friendship that I hope continues to rekindle. I was also reminded the power of "Forever Friends" when my family shared two different trips with close friends from my youth (from kindergarten, high school and college). There comes a time when these relationships transcend friendship and become family. I am grateful to have many of these people in my life, and I am working harder to never take them for granted. My wife and kids were, as always, the highlight of the year. I enjoy seeing the kids mature into teenagers, as it is fun to hang out with them and do things like eat in nicer restaurants, see higher levels of movies, and talk with them about the realities of society, business, politics, and life. I appreciate that they are reaching the ages where we can have more meaningful conversations. Hanging out with them is fun. For my birthday the four of us went to a nice steak house for a long dinner. On my wife's birthday we ate at a French bistro. Again for Christmas Eve we will visit a nice place and make it more than a meal, but create a shared experience. It is great to be able to bring the kids along and enjoy each other's company. I look forward to more opportunities to see them grow into young adults (Yikes, the oldest leaves for college this year). 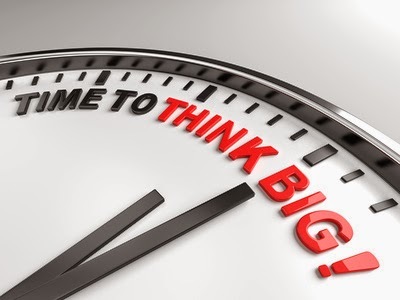 2015 brings with it new challenges, and the familiar "re-set" of my sales goals. My little solopreneur effort has been a lot of fun, but I no longer feel alone, as I have a tribe of other speaker, consultants, writers and podcasters who have become my sounding boards. It is going to be a fun ride. I never could have done this without the people in my life who have always believed in me (especially my wife, who clearly does believe). I have some regrets, but they are few (is that a song?). I am excited about the new plan for the coming year, and will certainly be fighting the good fight each day. I am honored to be part of the "Meetings Industry". The people who work in this business are wonderful souls, hard working, helpful, and entrepreneurial. Each month I write an article for the MPI (Meeting Professionals International) Texas Hill Country Chapter Newsletter as a way to serve my industry. I am a proud member of this chapter and of MPI. The meetings business is great because of the people. The vast numbers of professionals it takes to produce successful events, including planners, hoteliers, venue operators, transportation companies, caterers, speakers, entertainers, etc., means that we are all constantly exposed to smart individuals – that means we should always be learning. We can all learn from one another. There is value in the friendships we create across the different types of businesses that populate our industry. With each conference we can and should discover new ideas and knowledge. While I invest a lot of time with other speakers (I'm active in the National Speakers Association and have a mastermind group with four peers who share best practices), I also know that those who work in other disciplines in the meetings business are some of the best people to turn to when trying to find ways to improve my business offerings. As a speaker it would be easy for me to only think of meetings from the viewpoint of the conference agenda and how I fit into the meeting. But the more time I spend with other friends in this industry, the better informed I become in understanding what makes a great meeting and how my little piece fits into the whole. Nancy Vogl, owner of Nancy Vogl Speakers Bureau, agrees. She has spent decades working to connect speakers to the right events and has found the key to success rests in the relationships she has forged over the years. These relationships have proved to be critical not just in regards to winning more business, but in overcoming the ups and downs that all business owners face over time. The turbulent economy, 9/11, and the changes in the meetings and speaking business have thrown many of us curveballs, but Nancy Vogl keeps adapting. "We have so many resources in the meetings industry, people I can turn to for guidance and advice ... there is no excuse for not being successful," says Vogl. "With all we can learn from each other, and the number of supportive people who are always willing to share ideas and best practices, this industry keeps me energized and growing." Stormi Boyd, CMP, CMM, the director of professional services at Red Velvet events adds, "I find it very rewarding to work with other event professionals. In this industry we work so closely together that you develop real friendships. This makes it easy to quickly call on each other for advice." Boyd says she often reaches out to hotelier industry friends for guidance and insight into policies and contracts, even when their property may not be directly impacted. "And the relationships work in the opposite direction as well. I was just recently utilized by a director of sales as a test subject for their newest sales associate. 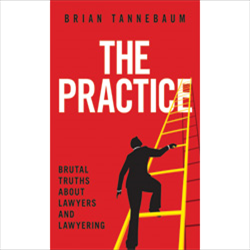 The fear of the new sales associate making mistakes with potential clients was mitigated because she was able to 'practice' with a live person who regularly produces events." Boyd recommends finding a mentor in the industry, but not necessarily in your same function. Her mentor is in the audiovisual business and has far more years in the industry. "I can reach out to my mentor for just about any question that might come up. 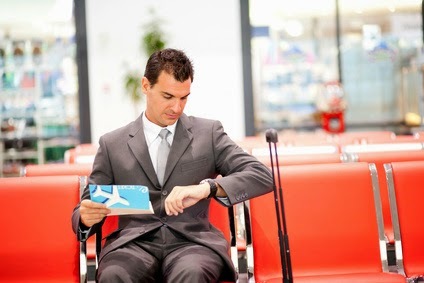 The ability to receive reliable advice and answers quickly can be a game changer in the life cycle of an event." As we go into the New Year, take the time to review your network and determine if you have established the right relationships to ensure you have access to those who can help you learn and grow in 2015. The good news is that almost everyone in the events business is friendly and will be happy to help you if you reach out to them. Thom Singer is known as "The Conference Catalyst," a speaker who mixes meaningful content with a high energy presentation style that results in audiences gaining new knowledge and taking action on what they have learned. Thom is also the host of the "Cool Things Entrepreneurs Do" podcast. He can be reached through www.ThomSinger.com or (512) 970-0398. While in Nashville to speak at a conference I had the chance to go to the Grand Ole Opry at the Ryman Theater. I had never been to the Ryman, and was pleased there was a show that I could attend while in the Music City. The Grand Ole Opry is always an experience (I have been once before at their other theater, The Grand Ole Opry House), but that day there was a performance that was over-the-top fantastic. I was not really familiar with up and the coming artist Chase Bryant (I do like his debut single, "Take It On Back"), but this 22 year old artist delivered one the most amazing shows I have ever seen. What made Mr. Bryant so spectacular? Passion. This was not his first performance on the Grand Ole Opry stage, but you would not know that by watching him. He was like a kid in a candy store; totally thrilled to be there playing his three song set. It got me thinking.... do we all ooze passion in our careers? Are we giving 100% to everything we do in our jobs? Is the love so visible in our actions that we inspires the souls of those we encounter? We all should be this tuned into passion. I want to be this kind of powerful force everyday. 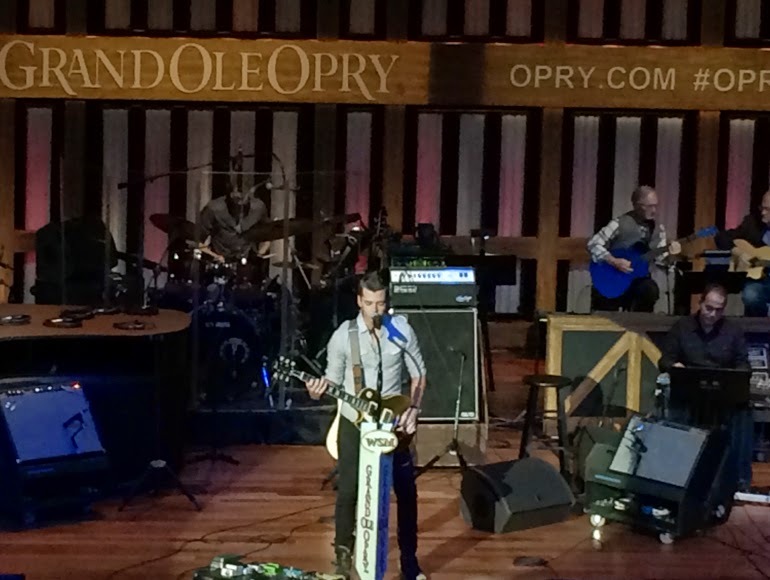 The day after watching Chase Bryant perform I delivered my presentation at the conference in Nashville. Before I walked on stage I thought about how much Bryant loved performing at the Opry, and I reminded myself that I love being a professional speaker (not that I ever really forgot). I looked at the crowd and wanted each of them to know just how excited I was to be with them on that afternoon. Each story I told was poured through my heart. While I hope I always am that focused on the love of my profession and my commitment to the audience, as we move through time things can become common place. I know that I have always been excited to be a speaker, and the hard work, sales, travel, time away, and constant pressure to find new material, etc.... never wears heavy on me. But I am still human and over time each of us can lose sight of the right focus. After my speech a young professional in the audience asked me why I was "so good on stage?". He had was not sure he had before been touched in his soul by a business speech, and was curious as to what was my secret. The answer? Passion. I shared with him my observations of Chase Bryant and how I always want to be 100% engaged in my actions as a speaker. But I knew this talk was just a little better because of my day at the Opry. You might say I took it on back (sorry, I could not resist). PS - If Chase Bryant ever reads this... I want to interview him for the "Cool Things Entrepreneurs Do" Podcast. I imagine that there is lots he does that would inspire entrepreneurs in any business. Episode 10 - Why Networking Matters to Entrepreneurs... roaming interviews at the October Austin Tech Happy Hour. Please download, listen and review (downloads and reviews really make a difference to a new show). We hit #3 on the "Careers Podcast List" on iTunes this week. I appreciate all who listen and who have given feedback. Next week there are two new show (I am getting better at these podcast interviews each time). Have you seen the More Cowbell sketch from Saturday Night Live? It’s more than just funny. Believe it or not, it’s a powerful metaphor for a successful work life. And it provides insight into the kind of people you need on your team, and what makes an effective team. 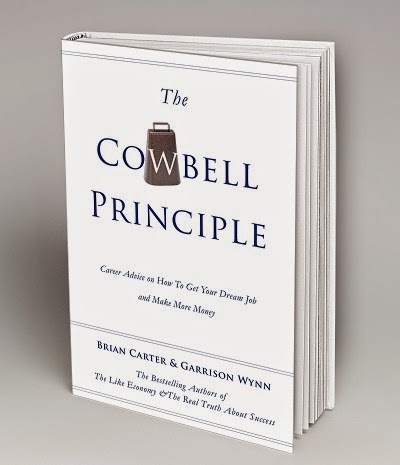 Everyone has at least one cowbell — it’s your unique, profitable talent people pay you for or your company's unique offering. It’s something people have a fever for. When you discover it and give those people a ton of it, you gain success and happiness for both yourself and others. It’s a win-win. A cowbell is simultaneously something you love doing and something other people really want as well (although, as we’ll see, you still will have detractors and critics). A cowbell creates joy for you and other people. It makes them yell for more. They can't get enough. If you’re too vanilla, it’s hard to be successful. You don’t stand out. And, interestingly, the most popular flavor is vanilla. But that’s because it’s ice cream, something most people find hard to ignore. Vanilla wafers, not as popular. Vanilla Ice, not popular at all. We talk about him in the section of the book about being annoying. But anyway, vanilla is mediocre. Pink bubblegum ice cream? Now that gets noticed. Are you in an environment where people praise mediocrity? Then you might be incentivized to stay mediocre, which will only get you an average career. Do you want a remarkable career? Then become a remarkable person. And go weird out some mediocre people. What you achieve is somewhat determined by your expectations and the expectations of those around you. For example, some families won’t allow their kid to live at home after dropping out of college. They expect their children to get a degree. They expect excellence. Dropping out of college is unacceptable to them. They paid for you to go, so you must succeed. No excuses. Some families are willing to shun their children if they fail. Right or wrong, that’s pretty motivational for kids. Where excellence is expected, mediocrity is rare. Mediocrity goes along with low expectations, a lack of motivation, a lack of ambition, and zero passion… it’s sleepwalking through life. Is that what you really want? I mean zombies are cool, but do you really want to be one? A small percentage of people leave their jobs and create a business out of their personality. They don’t have to invent a car or resell wholesale foods or split atoms. Successful speakers and consultants believe the power of their words and intellect is worth more than most things. Are these people confident? Definitely. Some people succeed just because they want status; they want to look good and be acknowledged as special. Pathological? Maybe, but effective. Sometimes your culture fights against your success. Brian learned when speaking in Norway that many Norwegians are fighting against a traditional cultural idea called Janteloven (pronounced yonta-loave-en), based on the laws of Jante, from, believe it or not, a novel. Why they let a novel hold such sway over them, we don’t know! These rules are so extreme that we want to share them with you, because when you read them we think you’ll understand why the Norwegians need to rebel. 2. You're not to think you are as good as we are. 3. You're not to think you are smarter than we are. 4. You're not to convince yourself that you are better than we are. 5. You're not to think you know more than we do. 6. You're not to think you are more important than we are. Those rules make us want to punch somebody in the face (a very American reaction best carried out by anyone with “rock” in their name: Rocky, or The Rock, or Jim Rockford). Or at least we want to make fun of these rules. Americans don’t believe that stuff, which is why the Scandinavian motivational company Speaker’s Club imports American speakers. We feel bad that they have to fight that inside themselves, and we wish them all the best in fighting it. Still, we love humility, the kind you find among Tim Duncan’s San Antonio Spurs teams; they are great, but their greatness comes from teamwork and good fundamentals. They never get too high or too low. Brian’s favorite definition of humility is this: a right-sized view of yourself, neither greater nor less than you actually are. Humility insists that we be honest, confessing when we’re lucky but taking credit for the action we have taken and results we’ve achieved. False humility is believing you are worse than you actually are. Egotism is believing you are better than you actually are. If you’re good at something, or even great at it, tell people. Or show them. Don’t deny it. Don’t hide it. Don’t be embarrassed about it.